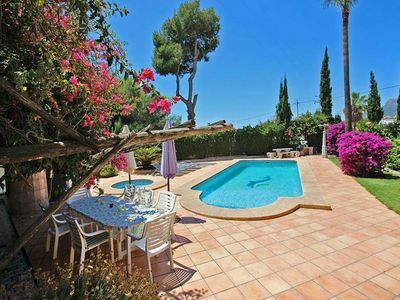 Fantastic 3 bedroom villa with pool, 1 minute walk from beach in Cala D'Or. Whether it's a getaway poolside or a relaxing beach holiday you want, Villa Estrelitzia is a great choice! 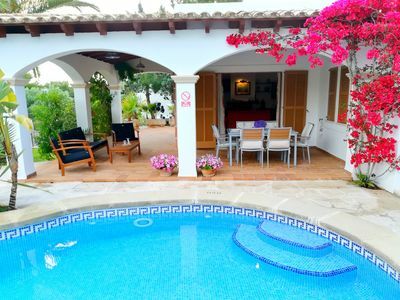 This delightful 3 bedroom villa has a large private swimming pool, as well as being only a minutes' walk from the beautiful Cala Serena Beach. 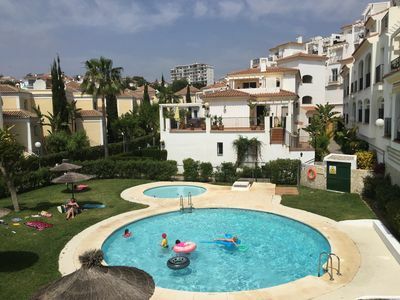 A choice of shops and restaurants are also within a short walk, with the magnificent marina and any of the other areas of Cala D'or, including the main resort center, easily reached by car or land train. WiFi and air conditioning / heating in the bedrooms are included. 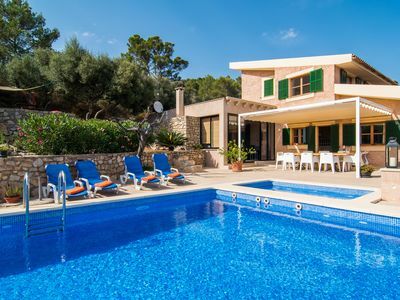 The pool area at this Cala D'Or villa has a large kidney shaped pool with built-in barbecue. 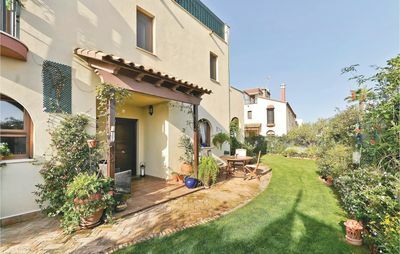 There is plenty of space to relax in the sunshine or take shade under the terrace that has a dining table and chairs. 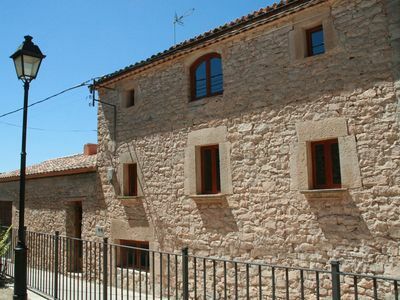 Villa Estrelitzia has a private gated driveway with plenty of space for your hire cars. From here steps lead up to both the pool terrace and the main entrance to the house. The light and airy lounge has a comfortable seating, a flat screen TV and an ornamental stone fireplace. Patio doors from the lounge open onto the terrace by the pool. An archway leads into the dining area and through to the fully equipped kitchen and breakfast bar. From the kitchen you can access the garage and utility room. 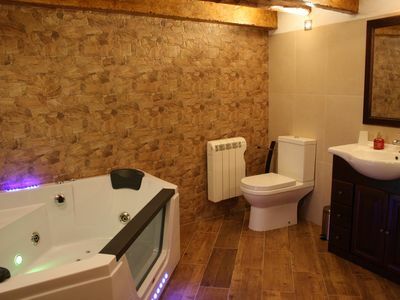 On the ground floor is a twin bedroom and separate bathroom as well as a double bedroom with en suite bathroom. 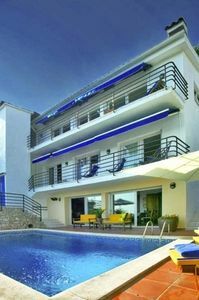 Both bedrooms have patio doors opening onto the pool terrace. The third bedroom is accessed externally from steps by the front door. The steps lead up to a spacious roof terrace and a double bedroom with en suite bathroom. In line with local energy saving initiatives, the villa has timed air conditioning on all units from 22:00 to 08:00. 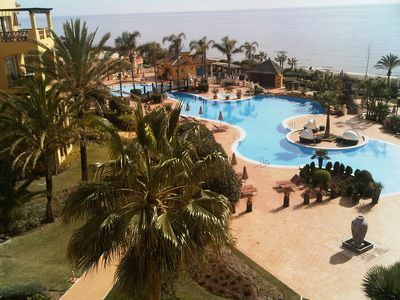 Beach lovers will be in their element with the beautiful beach of Cala Serena only 100m away! 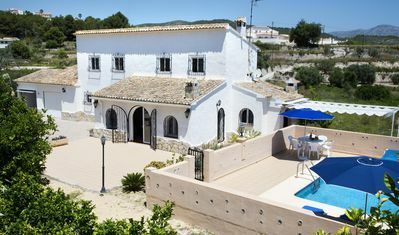 Plus, you can also venture to any of the other 6 fantastic beaches in Cala D'or, all within a mile radius of Villa Estrelitzia, by car or land train. 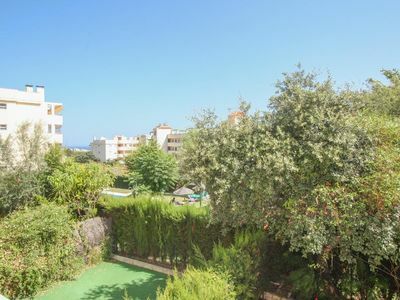 A small choice of shops and places to eat within a short walk in the area of ​​Cala Ferrera, with a greater choice to be found 2 miles away in the main center of Cala D'or. The nearby area of ​​Cala Ferrera has a choice of shops and places to eat. "Bar Maria" is the closest restaurant which is just 400m away. There is also a small supermarket at just 500m away. Any of the other smaller areas within Cala D'or can be easily reached by car or land train, all offering a big choice of restaurants and cafes. 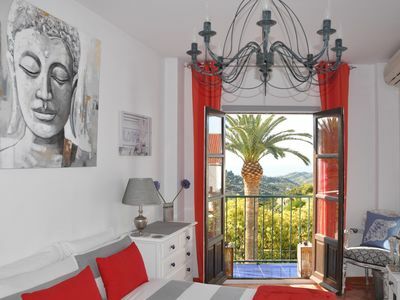 The main center of Cala D'or is 2 miles away where you'll find the best choice of facilities including restaurants, shops, bars, cafes and local street artists! The beautiful Cala D'or Marina is 3 miles away, also easily reached by land train if you do not want to drive, and have a good choice of fashionable restaurants overlooking the boats. A must-see for seafood lovers! "Eroski" the biggest supermarket in Cala D'Or is just a 5 minute drive from the villa. 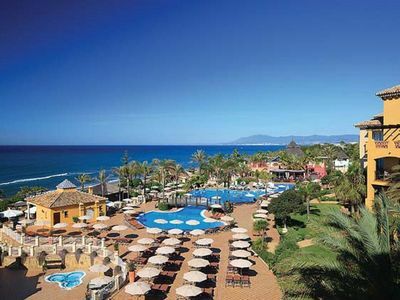 The picturesque sandy beach of Cala Serena is only a minutes' walk from Villa Estrelitzia. Cala D'or is a great choice for serious beach lovers. Within a mile radius of the villa you have 7 beaches in total, each with its own character and facilities. 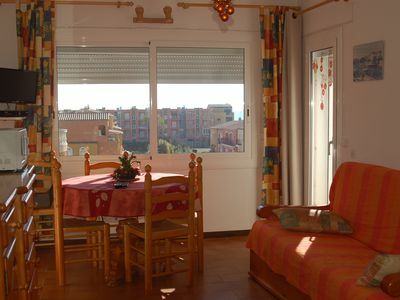 Magic SnowWhite apartment in heart of Eixample, Keyless entry! Central AC! 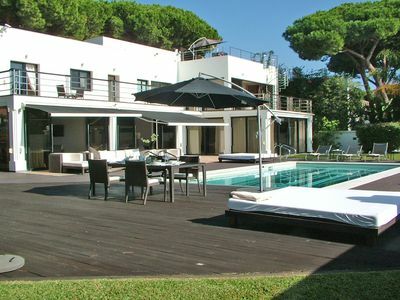 (Text automatically translated) Villa situated on the seafront with direct access to the beach. Large terrace with sea views.